We love Carlo. We love his mixes. We REALLY loved Phi 1. And trust us, we’re loving Phi 2… possibly even more. Now: GO GET SOME. This entry was posted on Friday, December 12th, 2008 at 12:52 pm. 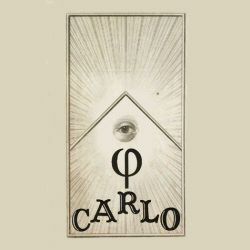 It is filed under Podcasts, Guest Presenters, Guest Mixes and tagged with Carlo, Phi. You can follow any responses to this entry through the RSS 2.0 feed.